What Do You Like About Fall Golf? There's less daylight and the weather might be getting cooler as winter approaches in various parts of the country, but that doesn't mean it's time to put the clubs in the closet for the winter just yet. 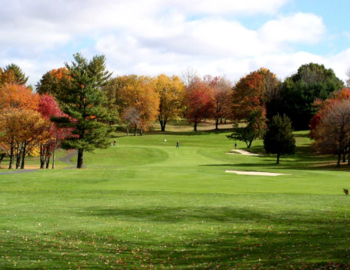 In fact, in places like New England, there may be no better time of year than the fall to play golf. With that in mind, for this week's, 'A Quick Nine,' feature, we asked our PGA.com Facebook fans the following: What is the best part of playing golf this time of year? 1. The wind. It's certainly brisk, but also refreshing and can make some long holes short and short holes long. 2. The weather. As a native New Englander, I'd have to agree - nothing beats the weather this time of year, especially when you get a sneaky warm day without the humidity. It's just absolutely perfect. 3. Less expensive to play. Who doesn't love bargain golf? 4. Courses are less crowded. While golf is supposed to be relaxing for and enjoyable for everyone, it can quickly become tense and annoying on a crowded course when you're waiting on every shot and pushing a six-hour round. What fun is that? Not a worry in the fall months. 5. There's a better appreciation. Let's face it, folks, post-Veterans Day rounds are simply a bonus, or icing on the cake. 6. Pace of play. Similar to less-crowded courses, I guess, but pace of play is huge for a lot of people. In the cooler months, people are more prone to finish quicker - it gets windy, cold and there's less daylight. You need to move it to sneak in 18 holes. 7. New clubs. Chances are, you can find a lot of deals on golf clubs as the season winds down. Rather than wait until the spring when the prices go up, why not get a set now and get break it in? 8. The foliage. Absolutely breathtaking. That's the only way to describe the foliage in the fall in New England when you're playing a late-season round of golf. The bad shots don't seem so bad as you look around at the beauty that surrounds you. 9. Extra roll. As the weather gets colder, the courses firm up. The extra yardage on a well struck tee shot is nice, but it is a bit of a bummer on rock-hard greens.